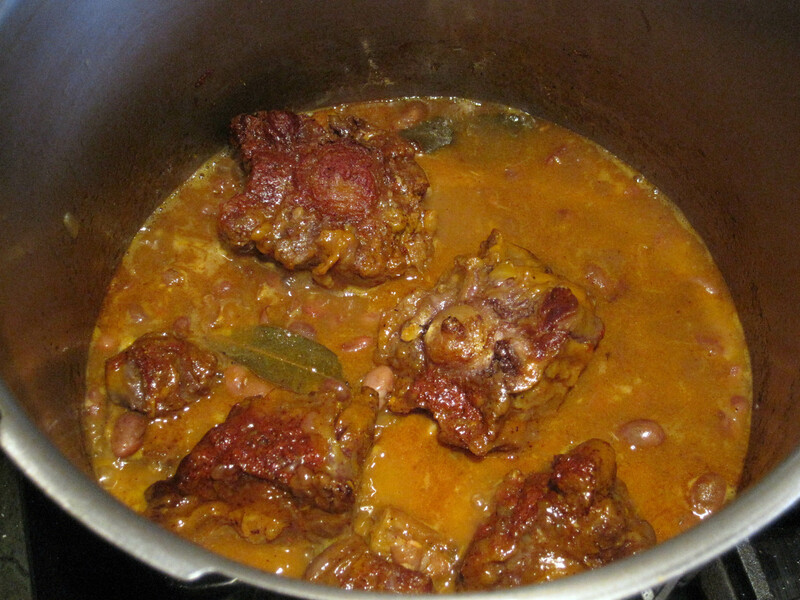 We finished 2013 with Oxtail and Beans (see recipe bellow) — delicious Romano beans we grew this year . We ate them from August to November and dried and stored about 14 pounds! It was an amazing gardening experience for our family. I cooked and shared a lot of beans on events, cooking classes, at church with friends and family. Not sure if people will still accept invitations to eat at my house for a while. Maybe they do not have the heart to tell me that they are hoping I would take on a different challenge. But the truth is that I am very happy to share food that I know is wholesome and it can taste amazing. So in the New Year, I will continue cooking legumes and sharing with you what I am learning along the way. 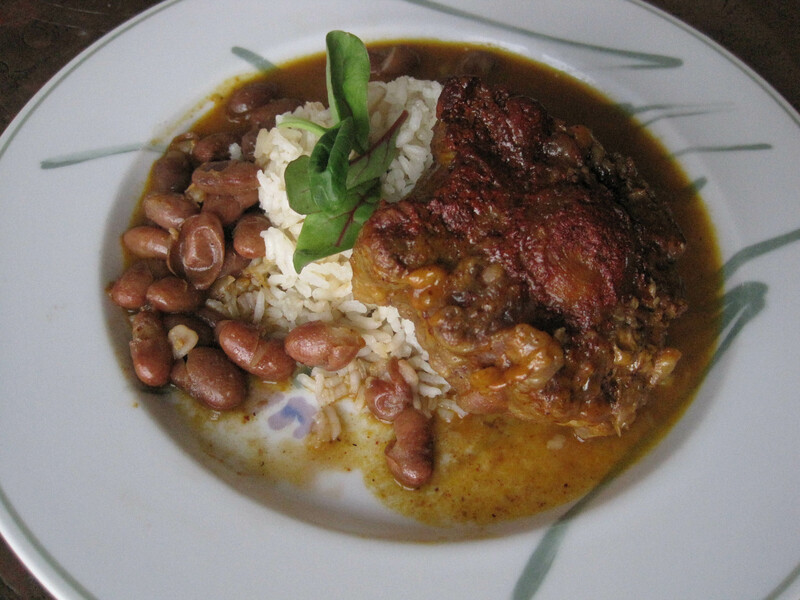 I did not even blogged about all the beans I cooked the past year, but I will keep adding recipes to the list. Rub Oxtail with lemon juice and let come to room temperature. On a pressure cooker, brown oxtail on high heat oil. Sprinkle the meat with annatto and turn a few more times. Add onion and cook for a couple of minutes. Add garlic, bay leaves to the pot and cover with water by 2 inches above the meat. Close pressure cooker according to your pot instructions and cook for about 45 minutes. Open the pot according to instructions and mix in the cooked beans. Keep cooking with the pot open, to reduce the sauce by half. Adjust salt and pepper to taste. We had ours with rice! Enjoy. Thank you Daniel Berman of FUSSYlittleBLOG for helping spread the word about my upcoming classes. I am really excited to meet folks and share some of my family recipes for wholesome meals on a budget.